In the lead up to the FinTech & CyberSecurity (FTC) Demo Day on February 14th, we’re putting the spotlight on some of the startups in the FTC Class of 2019. This next piece features another startup from the cohort: RefundMe. RefundMe is a platform that digitizes the VAT refund process using IoT- not just for tourists, but also retailers, airports and governments. How is their solution revolutionising an industry that is slowly embracing digital transformation? What is RefundMe’s entrepreneurial story? Over 160 countries impose a goods and services tax (VAT), where a value-added tax is levied on goods and services but is not applicable to items bought and taken out of the country by nonresidents. And out of those countries, more than 50 (including members of the European Union) allow tourists to get VAT refunds: As a tourist, you pay the tax at the point of purchase and can later claim your refund when you exit the country. Sounds great, but we all know that getting a VAT refund is nothing short of a laborious process. Making sure to save the receipts, standing in those long lines, filling up numerous forms (that aren’t always easy to find both for the retailers and the customers), getting items physically validated …there’s definitely a long list of ‘inconveniences’ that make you miss out on claiming that VAT Refund. 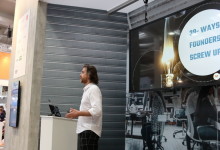 Recognising this problem, the 2 co-founders of RefundMe created a platform that digitises the entire VAT refund process for Non-European tourists doing their shopping in the EU. They’ve done this, by harnessing IoT technology. As a tourist, and user of the app, no forms or receipts are needed from your end. 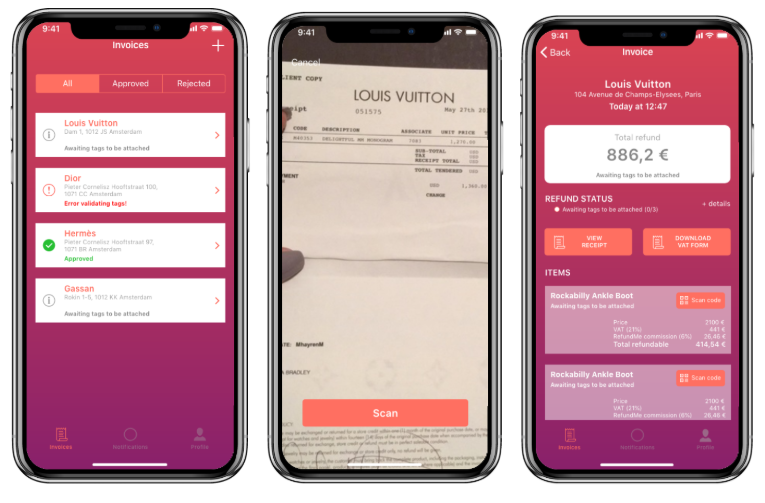 RefundMe’s pioneering solution easily detects purchases (and sends them in real-time to the government) as soon as they pass through airport security. Without having to complete any forms, or stand in a single line, your refund will be transferred to your account within 3-5 days. Naturally, governments also benefit from this digitization. It’s not just the forms that are being ‘automated’ – RefundMe is actually building the infrastructure necessary to improve and bring value to all the players involved in the VAT refund process By moving everything online, not only do visitors to the country enjoy efficient service – governments are assured that all the VAT refund claims are legitimate, and retailers can offer their customers a better shopping experience, utilising RefundMe’s technology. “We are giving the government a new way to validate items that qualify for VAT refunds. We partner with retailers and ask them to attach a special RFID (Radio-frequency identification) tag to their items after purchase. So how it works is that a tourist would come in with our app, take a picture of the invoice and scan the QR code that is on the RFID tag. At the airport (after the security clearance checkpoints), these RFID tags are detected by our scanners automatically – no lines, no worrying that you’re going to be missing your flight. The tourist would then get a push notification and once everything gets validated, we will send them a payout, using the account information they provided during registration. The 2 entrepreneurs behind this platform are Jerome Ibanez (CEO) and Csaba Szabo (Chief Technology Officer). 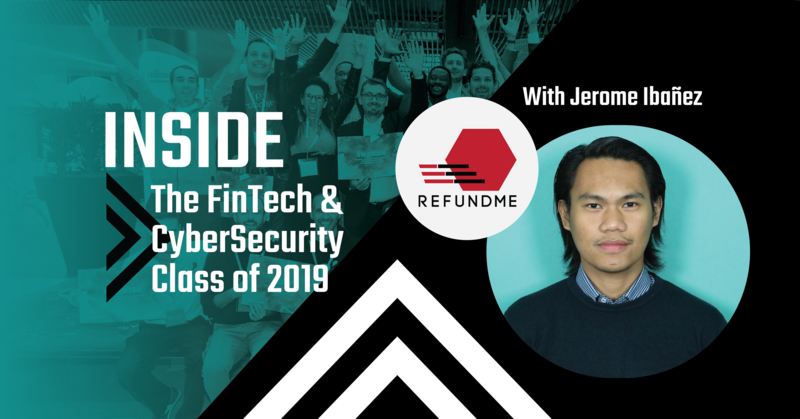 Conceptually the idea for RefundMe kicked off when Jerome was in Business School in Spain, back in (2016). 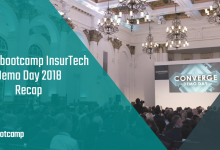 He joined a Startup Competition by Oliver Wyman, which challenged participants to develop solutions to the biggest FinTech problems that persisted. Of course, VAT Refund was one of the problems out there. 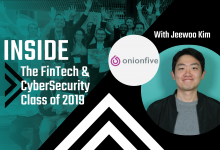 After graduation, Jerome and his team pursued this idea full time – however, due to commitment issues from the others, Jerome moved on with the idea, together with Csaba, whom he found on AngelList and partnered on the same day they met! The Dutch market for VAT is considered to be fairly young. The Netherlands has never been a ‘shopping destination’ per se but these days, more and more tourists are looking to visit the Netherlands (and not just London or Paris) for this purpose. The Dutch market does not have the usual bureaucracies you see with the more mature retail markets (like France or Spain). Thus, this country has proven to be an ideal launchpad for RefundMe. 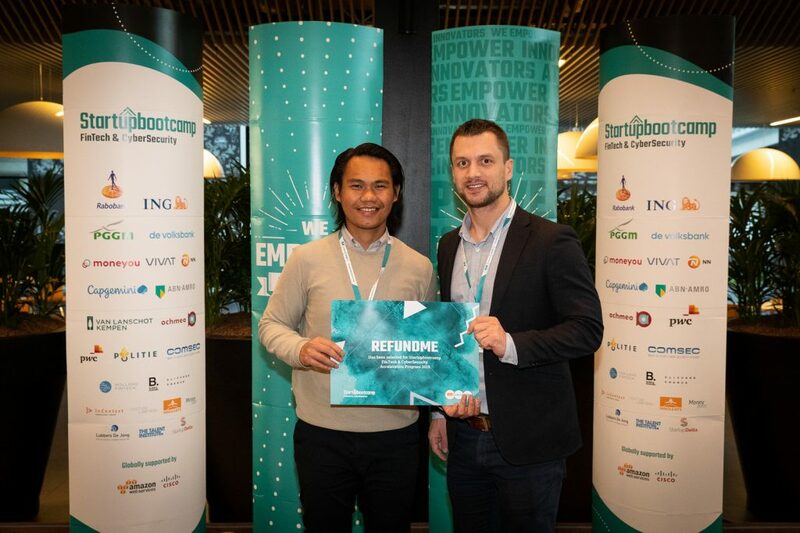 Joining the Startupbootcamp Program has helped RefundMe bring their solution into actual fruition. The network, the mentors and the program itself, has empowered the startup to pick up the speed and get things going. The team is now focused on their crowdfunding initiatives and getting Schipol Airport’s customs division onboard. For the rest of the year, they’ll be turning their full attention to the Dutch market, after which, they have plans to enter Ireland with the proposition. 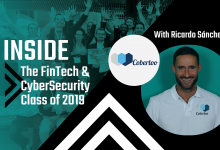 Demo Day for the FinTech & CyberSecurity Class of 2019 is on 14th February. 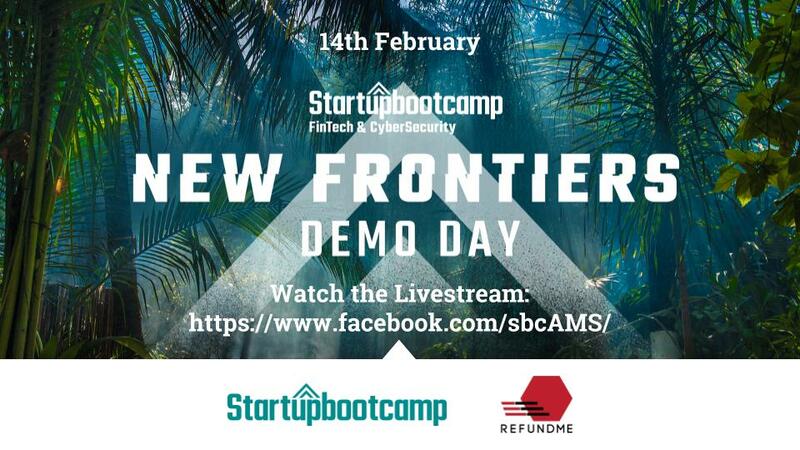 Tune in to the livestream at 14:15CET, to catch Jerome (together with 11 other companies) pitching on stage at the Rabobank HQ in Utrecht!